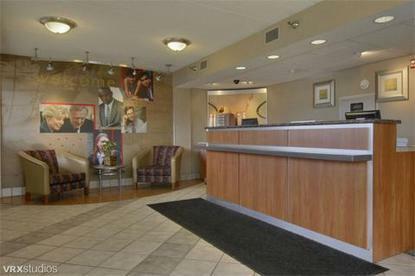 Red Roof Inn is renovating all of their inns nationwide This location now features redesigned rooms with more comfort and added amenities such as T-Mobile wireless Internet access (daily fee may apply). Experience our coffeehouse-style service featuring fresh brewed, ground whole bean coffee. They're rededicated to making your stay even better and back that promise with their Guest Service Guarantee, their assurance that you will enjoy your stay or they don't expect you to pay. Conveniently located just 6 miles north of the Akron Canton Airport, the Akron Red Roof Inn is within minutes of the Carousel Dinner Theater, Firestone Country Club, several local shopping malls and a wide variety of restaurants.